FORT WAYNE, Ind. (WANE) - The housing market in the Summit City is booming but buyers should beware. Home buyers are being scammed out of the money they thought was going towards a down payment. At least two people have been targeted to the tune of tens-of-thousands of dollars. The scams use what’s called mortgage wire fraud; largest and fastest growing scam affecting homeowners in the United States according to an expert NewsChannel 15 spoke with. It works this way. Hackers who have gained access to certain accounts at financial institutions or realty companies watch for pending home purchases. They then pose as the realtor or lender and instruct the home buyer to wire the down payment to a fraudulent account. Steve Kiermaier knows firsthand about the scam. Kiermaier, and his fiance at the time, began house-hunting in March 2017. The two found their dream home in June and were prepared to put a $31,000 down payment on it. By law, consumers are required to wire down payments of more than $10,000 to the title company.if it is more than $10,000 dollars. Sklenar said the Indiana Good Funds Law was implemented to protect the titling company from receiving bad checks at closing. Kiermaier said his realtor advised him via text message that he would soon receive wiring instructions for his down payment. He confirmed that the text was legitimate. He thenreceived an e-mail from what appeared to be his realtor’s e-mail address later that day, so thinking it was legit, Kiermaier followed the instructions. A week later, he learned the title company never received the funds. Tisha Howell had a similar experience at around the same time. She was preparing to close on her first home when she received an e-mail from her loan agent with instructions on how to wire the $14,000 down payment in July 2017. It was legitimate. However, the email she got a short time later was not. Howell said the fraudulent e-mail had the same title company listed and the same bank. The only difference was the bank account number. She went to her bank to try to recall the wire, but it was too late. Sklenar said it is rare that victims of this wire fraud scam get their money back. Kiermaier said he had to come up with $6,000 to close on the home. He still hopes to be able to retrieve the original $31,000 down payment. Howell is one of the lucky ones. In December, she received a phone call from her bank after the bank she wired her money notified an agent that they had her down payment. She said it is unclear how they retrieved it, but she received the $14,000 down payment in full. “Nobody thought I was going to get my money back but by the grace of God I did,” she said. Howell said she will begin looking for another home in the spring. She said she hopes those who work in the real estate and mortgage industry will do a better job of educating consumers. Sklenar said the Indiana Association of Realtors has included information about mortgage wire fraud in the state purchase agreement. 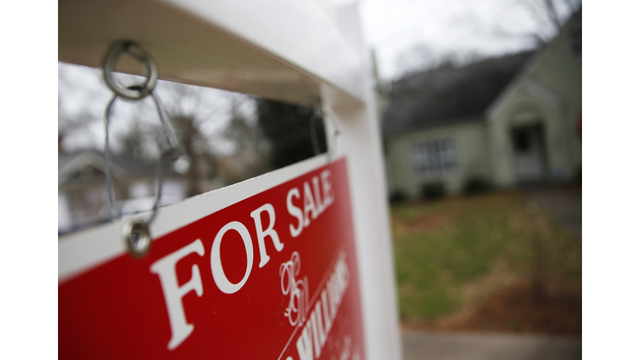 She said realtors and lenders are also encouraged to discuss the risk with home buyers. Despite the risk of wire fraud Sklenar said wiring money is still the best way to send a down payment. She does suggest that consumers pay close attention to who sent the e-mail, beware if a lender or realtor is asking for a deposit too far in advance, and always contact the title company directly to confirm the wire information before sending a wire.